To connect to WiFI and do communication stuff. Or DHT22 Or DHT21. To get Humidity/Temp.. The project aims to monitor the factories andgetting the information on your smartphone or other devices using IoT. The project aims in monitoring the gases, temperature, humidity, noise, barometric pressure, etc. and report the information on your smartphone. And also tells about the harmful conditions for the workers. According to the most recent fire statistics from the National Fire Protection Association (NFPA), an average of 37, 000 fires occur at industrial and manufacturing properties every year. These incidents result in 18 civilian deaths, 279 civilian injuries, and $1 billion in direct property damage. - So, if we can detect flammable gases and chances of where fires and accidents can occur the project can save damage to life and property. First gather all the components. You need to upload the sketch “Calibrate_MQ2”and keep the MQ2 connected to Arduino on A0 in Fresh Air. The Serial Monitor will show the Ro value which needs to be replaced in the Final Sketch! Scan QR Code below with Blynk! Change the SSID, password, auth token and Ro value in the Industries_Monitor sketch! Connect the devices and put it in the case like this! The server side of the project is managed by Blynk, a free application/host. The sending and receiving of data is being handled by POST, PUT, GET, etc. ; on the phone and esp8266. 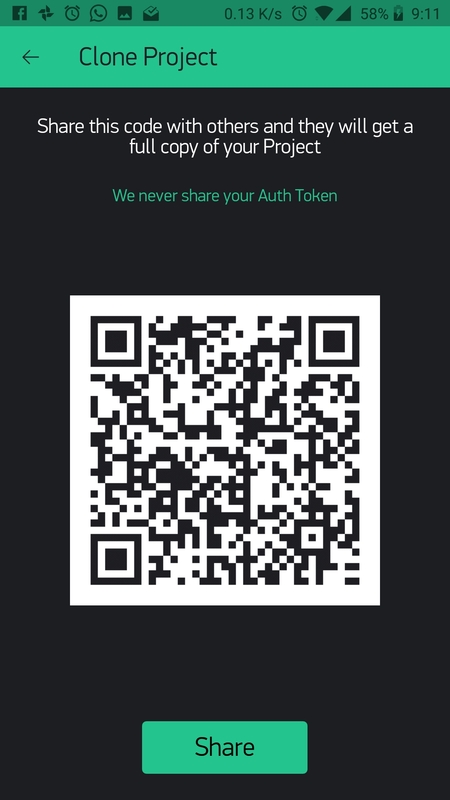 Open the project which you had made before by scanning the QR code! Press the play button to get live feed from your device! If the gas readings (CO, LPG, Smoke) have increased then, the server will tell the device to turn on the exhaust or crank up its speed if connected to it and turn on a loud siren to inform management about the increase in the readings..
1 / 4 • Weather Data on Blynk! I used an Arduino Mega to make the project! The project does not require lots of pins but boards with more memory will only work. 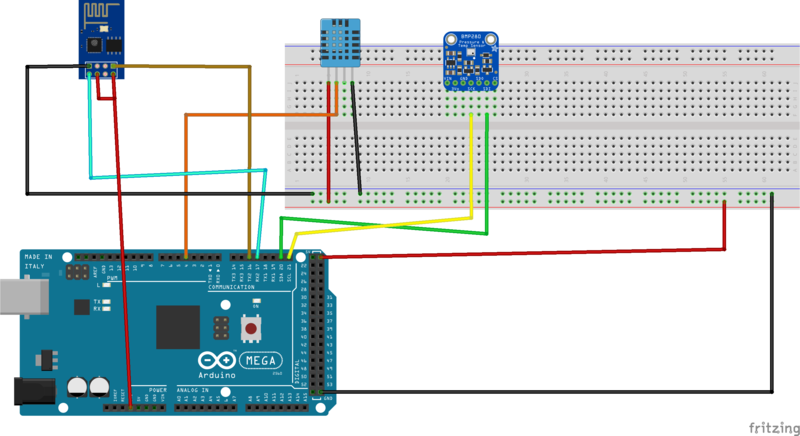 The Arduino Mega is connected to ESP8266 board to connect to Wi-Fi. The ESP8266 will be used to connect to Wi-Fi and the server and communicate with it through MQTT Protocol. The ESP8266 is connected via serial interface. The system I made will monitor the temperature and pressure (using BMP280) and the humidity (using DHT11)! Since the modern factories/industries use fossil fuel or other gases; The system also monitors gases like carbon monoxide (silent killer), LPG and smoke using MQ2 gas sensor. It also has a PIR motion sensor to detect humans and motion activity. Most of the work of analyzing the data the data will be done on the server side. Here the server is Blynk. The server is hosting the web page and managing the entry of data and its analysis which has to be done. It uses and event-or widget to give notifications and other stuff based on the information sent by the device. You will understand the working of the server if you see the code and Blynk interface! This is the Scematic of the Project in PNG! Also connect Data pin of PIR Sensor to pin 7 of Arduino mega //Configurable in Blynk!